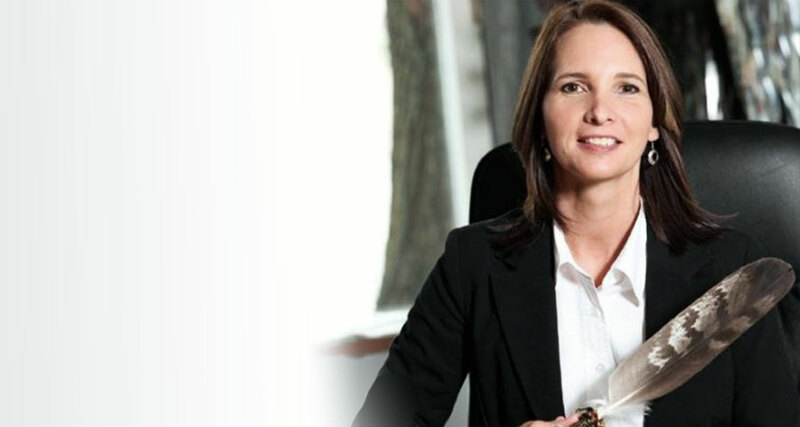 Leanne Flett Kruger - Conseillers T.E. With a background in economic development and finance, Leanne has experience working with the Aboriginal community across Canada as an Investment and Wealth Advisor both at the individual and Band levels. She is knowledgeable of the Indian Act (section 87), First Nations trust structures, First Nations governance structures and Band financial management. This first-hand insight allows her to tailor advice to her clients’ specific needs. Leanne has a long ancestral lineage in Manitoba Cree country. Her Flett relations are from Norway House Cree Nation and Cross Lake First Nation. Her grandmother, Armandine Lavelle, was Cree/Métis and danced at the underground pow wows when they were outlawed in the early 1900s. Leanne’s goal is to contribute to the empowerment of Aboriginal peoples and First Nation communities through financial health and sustainable prosperity. Her expertise includes: governance of fiduciary investing, band Investment, policy statement development, asset allocation, strategic development, investment manager analysis, performance measurement, ongoing monitoring and portfolio review. Having a passion for learning, Leanne holds a degree in Community Economic Development from Simon Fraser University, and is currently enrolled in the Political Economy program with Athabasca University. She has taken several courses with the Canadian Securities Institute, and holds certificates for various professional development programs. Additionally, Leanne is a member of several professional affiliations, such as the Council for the Advancement of Native Development Officers and the Federation of Aboriginal Foster Parents.